What has Electro got to offer? Well, as the Sample Magic web site puts it, "dripping‑wet Italo madness”, "manga‑tweaked tube grime”, "ear‑mashing screeches” and "peaktime mainroom filth”! 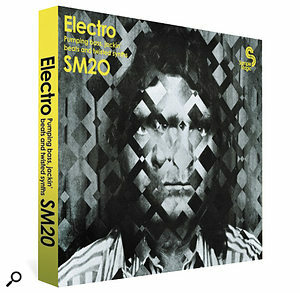 Producer Sharooz Raoofi writes a little more soberly, explaining that, even though the key elements of the electro genre are represented in the collection — namely "heavy beats” and "banging basslines” — added to the mix are "jackin' warehouse grooves” and "Afro‑Latin rhythms” popularised by emerging US stars. 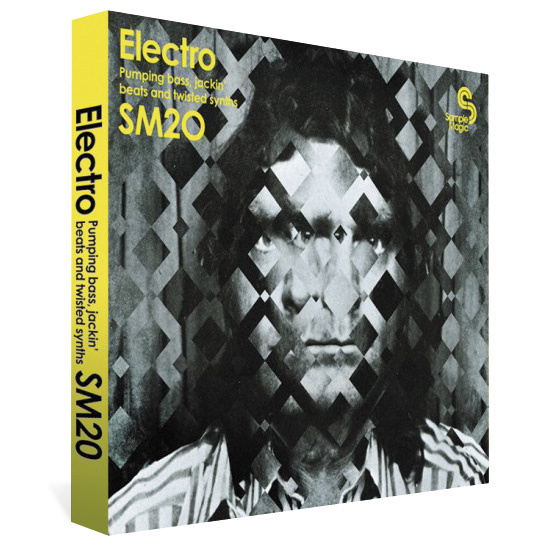 The Limited Edition SM20 Anniversary Presentation Pack was sent for review, containing two DVD discs and a CD of bonus sounds, all wrapped in a fold‑out cardboard digipack, together with a 24‑page booklet of information, producer tips and appetising pictures of gear used in Electro's production. It's actually a beautifully designed physical product, making it all the sadder that SM are reluctantly intending to supply download‑only collections in future. A short and revealing film, called Behind The Scenes At Sample Magic, is included on one of the DVDs, but most of the rest of the content comprises 24‑bit WAV loops, REX 2, Stylus RMX and Apple Loops, plus EXS24, Kontakt 3, HALion and Reason NNXT sample patches. Mostly the loops have been created at the electro standard of 128bpm, but there are a couple of separate folders of 125 and 130 bpm material that's not so well suited to time stretching. I can't find fault with the sounds, which are perfectly served by the colourful descriptions quoted from the SM web site. Anyone familiar with the vernacular of veteran Radio One DJs Pete Tong and Judge Jules will get the idea immediately, and Electro provides most of the ingredients needed for composing the sort of music those influential DJs and their counterparts play week in, week out. Obviously, some skill and brilliance is still needed to arrange and mix the loops, single hits and filthy fills into original and dynamic compositions, but the basic recording, processing and balancing is masterfully taken care of. One criticism, though, is that there could have been more breakdown variations on each loop idea, mainly because the more complex a loop, the less likely it is to be quite what you want. Moreover, having some of the elements of a particular groove isolated and available as separate loops provides more creative options when composing a whole track. The Bonus Sounds CD has 14 folders, each containing an impressive number of loops, hits and sound effects relevant to its genre. There is everything here from DrumDog Nu‑Rave Drum Hits to Minimal Techno and Progressive House, but it isn't necessarily as current as the DVD material. Trends aside, there is a wealth of great material on the CD that is well worth having, particularly if you're looking for classic sounds.